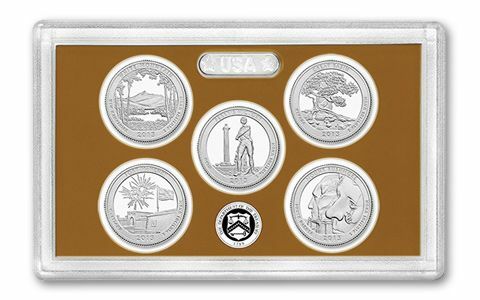 Each set contained fourteen coins: One example each of the Lincoln Cent, Jefferson Nickel, Roosevelt Dime, Kennedy Half Dollar, Native American "Golden" Dollar, five America the Beautiful™ Quarters representing White Mountain National Forest, Perry's Victory and International Peace Memorial, Great Basin National Park, Fort McHenry National Monument, and Mount Rushmore National Memorial (all Copper-Nickel Clad). 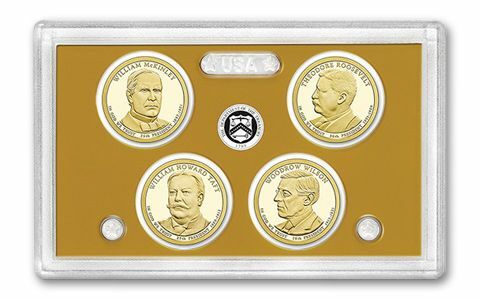 It also includes four Presidential Dollars: William McKinley, Theodore Roosevelt, William Howard Taft, and Woodrow Wilson (Copper-Nickel Clad). The 2013 Native American Dollar within this set features a one-year-only design commemorating the first treaty ever between the United States and a Native American tribe, the Treaty with the Delawares in 1778. 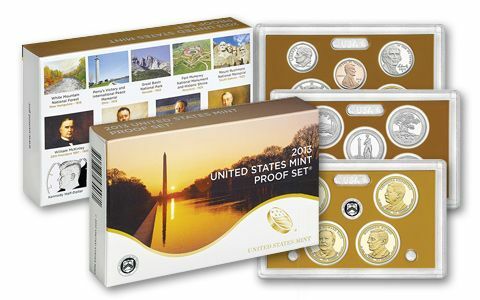 About the sets: All coins in the 2013-S Proof Set were intended to have a Cameo or Deep Cameo Finish. 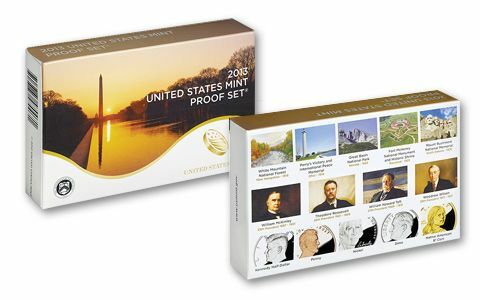 Original packaging: The 2013-S Proof Set comes in three cases. 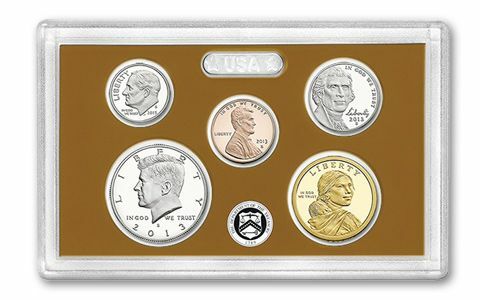 One case contains the Cent, Nickel, Dime, Half Dollar, and Native American Dollar; one contains the five America the Beautiful Quarters, while the third case houses the four Presidential Dollars. The coins are inserted into holes in a cardboard holder, and then sealed inside a two-piece, clear plastic case. The cases and certificate of authenticity were inserted into a white and brown card-stock box featuring a sunset photo of the Washington Monument and Lincoln Memorial Reflecting Pool.